In 2012, B2C ecommerce sales grew 21.1% to top $1 trillion for the first time, according to new global estimates by eMarketer. The rapid growth in Asia-Pacific sales is a result of several factors. Three Asia-Pacific markets—China, India and Indonesia—will see faster B2C ecommerce sales growth than all other markets worldwide this year, while Japan will continue to take a large share of global sales. The US will remain the single country with the largest share of worldwide B2C ecommerce spending, at 29.6% in 2013—down from 31.5% in 2012 despite relatively strong growth. This will continue throughout the forecast period, though China is closing the gap fast. In 2016, China will have 22.6% of the worldwide market, vs. 26.5% in the US. China also boasts the highest number of people who buy goods online in the world—nearly 220 million in 2012, according to eMarketer—a result of increasing internet penetration; a burgeoning middle class with growing trust in online shopping; government-driven campaigns to promote consumerism; as well as improved infrastructure, product selection and services offered by online sellers and retailers. According to eMarketer, B2C ecommerce sales in the US will grow 12% to $384.80 billion in 2013—after growing 13.8% to $343.43 billion last year—as average B2C ecommerce sales per user reach $2,466 this year among those who buy goods online in the US. Average spending per user is lower in China—set to reach just $670 this year, eMarketer estimates—but the sheer growth in China’s digital buyers is staggering. The country will nearly double the number of people who buy goods online between 2012 and 2016, eMarketer estimates, resulting in considerable upside for B2C ecommerce sales in China through the forecast period. 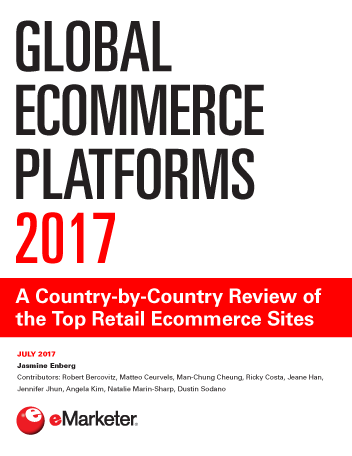 eMarketer is relatively distinct in its methodology for global B2C ecommerce sales. The company forms its figures through an analysis of various elements related to ecommerce sales—including macro-level economic conditions, population figures, internet and broadband adoption, consumer attitudes, historical trends in online sales, survey data from third parties, and estimates from other research firms, investment banks and other forecasters—at a country and regional level before building its worldwide model. For example, when evaluating overall B2C ecommerce sales in China, eMarketer considered data points from dozens of sources on top-line sales, growth, online buyers, online buyer penetration, internet usage, and other trends—including, but not limited to, those included on the charts above and below—before forming its own forecast. 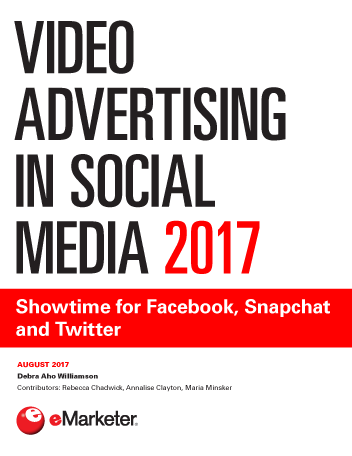 In all, eMarketer analyzed more than 1,100 data sets from over 130 research sources—whose ecommerce figures are each tracked and evaluated by eMarketer based on their respective methodologies, definitions and historical accuracy—looking at more than 22 markets and six major regions, before forming its worldwide figures. 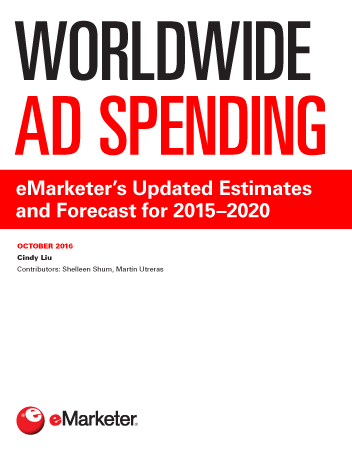 eMarketer tracks and re-evaluates many of its estimates more than once per year. When an estimate is re-evaluated and found to be unchanged from the previous estimate, it is marked as "confirmed and republished" as of the later date. Definitions: eMarketer’s figures for B2C commerce sales include retail sales, travel sales, digital downloads purchased via any digital channel (including online, mobile and tablet) and sales from businesses that occur over primarily C2C platforms such as eBay. These figures exclude gambling and event tickets. Digital buyers are internet users ages 14 and older who have made at least one purchase via any digital channel within the past year, including purchases made on desktop, laptop, mobile and tablet devices. eMarketer converts currency based on the average 2012 exchange rate as reported by the Economist Intelligence Unit. Note: eMarketer benchmarks its Argentina B2C ecommerce sales projections against Cámara Argentina de Comercio Electrónico (CACE) data, for which the last full year measured was 2011. eMarketer benchmarks its Germany B2C ecommerce sales numbers against the Bundesverband des Deutschen Versandhandels data, for which the last full year measured was 2011. eMarketer benchmarks its India B2C ecommerce sales projections against the Internet & Mobile Association of India (IAMAI) data, for which the last full year measured was 2011. eMarketer benchmarks its Japan B2C ecommerce sales projections against the Ministry of Economy, Trade and Industry (METI) data, for which the last full year measured was 2010. US B2C ecommerce is comprised of retail ecommerce and digital travel sales. US retail ecommerce is benchmarked against the Department of Commerce data, for which the last full year measured was 2011; US digital travel sales, which includes online leisure and unmanaged business travel, is benchmarked against PhoCusWright data, for which the last full year measured was 2010. Asia-Pacific includes American Samoa, Armenia, Australia, Azerbaijan, Bangladesh, Bhutan, Brunei, Burma, Cambodia, China, Cook Islands, Fiji, French Polynesia, Guam, Hong Kong, India, Indonesia, Japan, Kiribati, Kyrgyzstan, Laos, Macau, Malaysia, Maldives, Marshall Islands, Micronesia, Mongolia, Nauru, Nepal, New Caledonia, New Zealand, Northern Mariana Islands, North Korea, Pakistan, Palau, Papua New Guinea, Philippines, Samoa, Singapore, Solomon Islands, South Korea, Sri Lanka, Taiwan, Thailand, Tajikistan, Timor-Leste, Tonga, Turkmenistan, Tuvalu, Uzbekistan, Vanuatu, Vietnam, Wallis and Futuna. Eastern Europe includes Albania, Belarus, Bosnia and Herzegovina, Bulgaria, Croatia, Cyprus, Czech Republic, Estonia, Georgia, Hungary, Kazakhstan, Kosovo, Latvia, Lithuania, Moldova, Montenegro, Republic of Macedonia, Romania, Russia, Serbia, Slovakia, Slovenia, Turkey, Ukraine, Poland. Latin America includes Anguilla, Antigua and Barbuda, Argentina, Aruba, Bahamas, Barbados, Belize, Bolivia, Brazil, Cayman Islands, Chile, Colombia, Costa Rica, Cuba, Dominica, Dominican Republic, Ecuador, El Salvador, Grenada, Guatemala, Guyana, Haiti, Honduras, Jamaica, Mexico, Montserrat, Netherlands Antilles, Nicaragua, Panama, Paraguay, Peru, Saint Barthelemy, Saint Kitts and Nevis, Saint Lucia, Saint Martin, Saint Vincent and the Grenadines, Suriname, Trinidad and Tobago, Turks and Caicos Islands, Uruguay, Venezuela, Virgin Islands (British), Virgin Islands (US). Middle East & Africa includes Afghanistan, Algeria, Angola, Bahrain, Benin, Botswana, Burkina Faso, Burundi, Cameroon, Cape Verde, Central African Republic, Chad, Comoros, Congo (Brazzaville), Congo (Kinshasa), Cote d'Ivoire, Djibouti, Egypt, Equatorial Guinea, Eritrea, Ethiopia, Gabon, Gambia, Gaza Strip, Ghana, Guinea, Guinea-Bissau, Iran, Iraq, Israel, Jordan, Kenya, Kuwait, Lebanon, Lesotho, Liberia, Libya, Madagascar, Malawi, Mali, Mauritania, Mauritius, Mayotte, Morocco, Mozambique, Namibia, Niger, Nigeria, Oman, Qatar, Rwanda, Saint Helena, Sao Tome and Principe, Saudi Arabia, Senegal, Seychelles, Sierra Leone, Somalia, South Africa, Sudan, Swaziland, Syria, Tanzania, Togo, Tunisia, Uganda, United Arab Emirates, West Bank/Palestine, Western Sahara, Yemen, Zambia, Zimbabwe. North America includes Canada, US. Western Europe includes Andorra, Austria, Belgium, Denmark, Faroe Islands, Finland, France, Germany, Gibraltar, Greece, Greenland, Guernsey, Iceland, Ireland, Isle of Man, Italy, Jersey, Liechtenstein, Luxembourg, Malta, Monaco, Netherlands, Norway, Portugal, San Marino, Spain, Sweden, Switzerland, UK.